No matter how I've felt about writing the Pop Culture Roundup over the years, I've always looked forward to putting this one together. So even if I gave up the others (as I've done from time to time), I'd never give up doing this one. Here are my favorites in various media categories that I experienced this past year. 1. 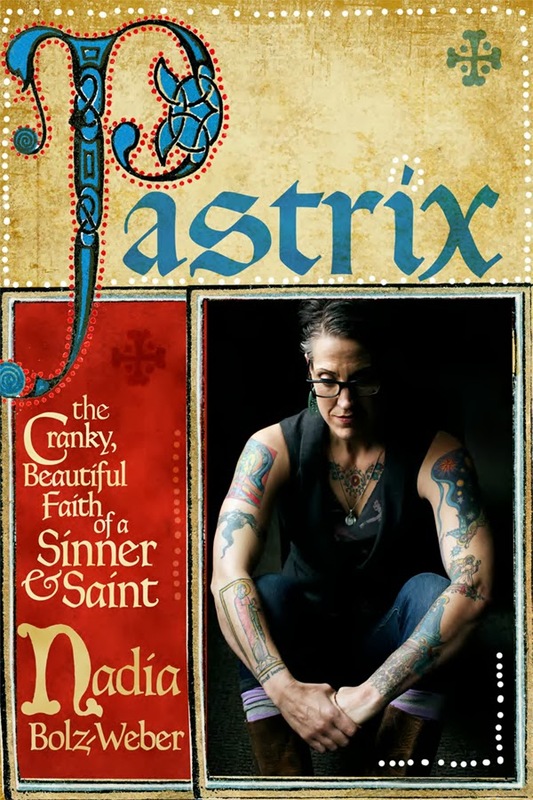 Pastrix - I've long been an admirer of Nadia Bolz-Weber, pastor of House for All Sinners and Saints in Denver, for her irreverence and her insightful commentary on church, culture, and theology. To say that I was greatly anticipating this book's release date so that I could get my copy was probably an understatement, and I read the whole thing in two days once it arrived. Nadia interweaves some of her personal story into her experiences of being a pastor of such a unique congregation, all with the humor and...ahem...vocabulary that anyone familiar with her would expect. This book is personal, insightful, at times convicting, at other times inspiring. 2. Understanding the Spiritual Exercises - It wasn't really my choice, but I had to live with this book by Michael Ivens, SJ all year. And a little of the previous year. And also this next year. And probably for quite a while after that. This is the main text used for my spiritual direction program, a presentation of and commentary on the Spiritual Exercises of Ignatius of Loyola. At first it was just a textbook to me, into the margins of which I scribbled many of my own notes. But as I have come to appreciate not only the structure and philosophy of the Exercises but also the real ways that they may cultivate depth in one's prayer life, I return to it out of my own interest and not just for homework. This book will be a companion of mine for quite a while. 3. World War Z - I greatly enjoyed Max Brooks' The Zombie Survival Guide a few years ago, and I'm not sure what took me so long to read his follow-up, presented as a series of interviews with people who survived a global zombie outbreak. The movie adaptation (which I haven't seen but looks nothing like the book just from the trailers) inspired me to do so, which I'm somewhat ashamed to admit. Anyway, this is every bit as good as the Guide was, probably better, because here the rules of his universe get applied in more of a story format. 4. The Clockwork Century Series - I continued to enjoy this series of books by Cherie Priest, who writes about an alternative steampunk universe set during the Civil War, where a mysterious gas turns people into zombies. After reading Boneshaker late last year, I was hooked, so I've enjoyed Dreadnaught, Clementine, and Ganymede over the course of the year, and it looks like I have at least three more to go. So this could very well get a mention next year, too. 5. Hyperbole and a Half - A couple years ago, Allie Brosh of the hilarious blog of same name announced that she was putting out a book based on her writings and cartoons: about half stuff we've seen and half stuff we haven't. Unfortunately, the timeline for the release seemed to be delayed by life (she's explained her struggle with depression in several posts in a humorous yet powerful way). This year her book--which really is her blog in book form--finally released, and the material translates well. Some of her best stuff is included: her two posts on depression, being an adult (ALL THE THINGS), her stupid dog, and eating her grandfather's entire birthday cake, for instance. Much like her blog posts which may go weeks in between being posted, this was worth the wait. 1. Rise of the Guardians - We have certainly seen our fair share of family- or kid-friendly movies, including this one that depicts familiar childhood figures (Santa Claus, The Easter Bunny, The Tooth Fairy, etc.) as superheroes charged with protecting children. Both story-wise and artistically, this was a well-done film that re-imagined these characters and the rules that they live by. This was a good story about belief and childhood wonder, and had something for adults and children alike. 2. Iron Man 3 - Set not too long after The Avengers, Tony Stark is not doing very well in processing the events of that earlier movie. He's dealing with PTSD, most notably manifested in sleeplessness and occasional bouts of extreme anxiety. In the midst of this internal struggle, yet another outward threat comes in the form of The Mandarin. These two things combined make for a long stretch of the movie that is more about Stark figuring himself out as much as figuring out how to defend his loved ones and others from this new menace. The third movie of a trilogy can be hit-or-miss, and this was a hit, perhaps even the best of the three. 3. 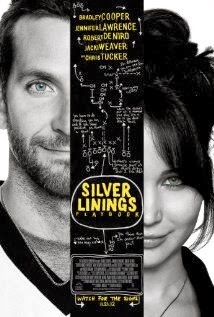 Silver Linings Playbook - Bradley Cooper stars as Pat, a man recently released from an inpatient psychiatric facility and obviously still wrestling with his illness (bipolar). He eventually meets Tiffany (Jennifer Lawrence, who won an Oscar for this), who is dealing with depression and grief herself, and the two help each other adjust to life in the midst of their struggles. The film does a great job of portraying the illness of each (it had psychiatric nurse practitioner Coffeewife's approval), as well as environmental factors such as enabling and/or eggshell-walking family members, the death of loved ones, and the role of coping mechanisms, both healthy and unhealthy. 4. Much Ado About Nothing - Amy Acker stars as Beatrice, Alexis Denisof as Benedick, and a whole host of other Joss Whedon favorites in assorted roles. This modern adaptation takes place at a large house on sprawling grounds, the characters in simple, yet affluent attire, and it's shot in black and white, which gives everything a certain noir feel. There's a lot of visual comedy that complements or helps express the humor of the dialogue: the smallest facial expression helps elevate what's being said, and the cast has proven very well over the years how talented and capable they are at this. This was a wonderful, simplified production of one of Shakespeare's better-known tales. 5. Catching Fire - Sometimes it's hard to judge a movie that is clearly the second in a series. It's not self-contained and often acts as a bridge of sorts between the first film that sets up the characters and conflict and the third/fourth that you know will provide resolution. As a work in itself, this was a great rendition of what happens in the second book of the Hunger Games trilogy. The actors--including worthy additions such as Philip Seymour Hoffman, Jeffrey Wright, Jenna Malone, and Sam Claflin--hit the right notes portraying the fear, helplessness, anxiety, and defiance involved in the growing revolution against the Capital. The visual effects are stunning as well, as one would expect. As the "bridge movie," this did very well to set up what is to come. 1. The Walking Dead - It's crazy to think that I watched the entire series so far just this year. First, I binge-watched seasons 1, 2, and the first part of 3 leading up to the second part of season 3 in February, and then I hung on to every new twist and turn as Rick and the gang fought not only the undead but the living. I couldn't wait for season 4 to start this past October, which was every bit as good. I've been trying to figure out what in general I find so compelling about the zombie genre, and I think this show encompasses it so well: it asks what happens to our humanity when the world we know disappears; when survival becomes the concern over everything else. Various characters answer this in different ways and even according to different circumstances. I can't wait for the show to return next February, especially given the chaotic way the mid-season finale ended. 2. Arrested Development - My heart leaped with joy when I first heard that they really were, seriously you guys, going to be making new episodes of this incredibly clever show about a wealthy dysfunctional family trying to keep it all together. The format of this Netflix-exclusive series would be a little different: each episode would focus on one character each to help get everyone caught up on what has happened since the original show was cancelled. Some characters get multiple episodes for their stories, and each is ultimately interwoven with the others such that some jokes take watching multiple episodes to pay off completely. The writing is every bit as good as it was before, and we're left hanging at the end, the possibility of a movie still looming. It was great to enjoy this series again. 3. Orange is the New Black - I think I first heard about this series through Entertainment Weekly, which talked it up quite a bit. And then I started hearing about it from friends who were completely engrossed. And finally I started watching, and I understood. We meet Piper, an uppity New Yorker who gets sent to prison for something she'd done ten years earlier. The tagline for the show is "Every sentence is a story," which holds true as we learn the background of some of the other inmates: not just why they got arrested, but what their lives were/are like otherwise: relationships, background, and so on. Again, my love of nuance comes through as we're able to get 3D glimpses into the lives of these inmates and how they interact with (sometimes bounce off of) each other to try to make it through each day. 4. Parks and Recreation - When Coffeedaughter and I began spending my days off together, I figured this would be a good show to queue up on Neflix in the background. But the more and more I watched, the more I appreciated its offbeat humor. Amy Poehler plays Leslie with the right amount of earnestness in this mockumentary about a parks and recreation department in a small Indiana town, but it's really an ensemble comedy that includes Nick Offerman as a no-nonsense department manager, Rob Lowe as a high-energy city manager somewhat at war with himself, Chris Pratt as a dim-witted slacker trying to find his way, and Aubrey Plaza as a deadpan administrative assistant, among many others. The cast chemistry is incredible, the jokes wonderfully timed. As of this writing, I'm in the middle of Season 5 and can't wait to see more. 5. Boardwalk Empire - I wasn't sure about the fourth season at first, as plot points always tend to develop very slowly on this show. Things eventually picked up as Capone and Lansky started to step up more and more, and a new villain, Dr. Valentin Narcisse, started making trouble for Chalky. Narcisse was more sinister, manipulative, and calculating in contrast with last season's crash-and-bang Gyp Rosseti, which was a good change to keep things fresh. The last episode of the season was a gutbuster in several ways, as Narcisse ended up in a fate worse for him than death, Eli's son seemed to start a transition into New Jimmy, and Harrow found the sort of resolution that seemed to fit his struggles. Another fantastic season by the end. 1. 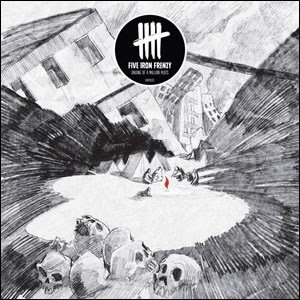 Five Iron Frenzy, Engine of a Million Plots - The musical highlight of my year came in two parts. First, I saw FIF play a show in a very intimate setting that included my meeting and taking pictures with several members of the band. Second, this album came out the next week. What with the group breaking up 10 years ago, neither of these things seemed possible for quite a long time, and yet here I am enjoying one of my all-time favorites yet again. The album itself is a little more mature, still with that fun side, yet both less hindered and more thoughtful than they've ever been. 2. Serena Ryder, Harmony - I heard Ryder perform her song "Stompa," the first single off this album, on an NPR show shortly after another artist mentioned below had. Unfortunately, the full album was not yet available in the United States (she's Canadian), so I had to specially order it through Amazon. Let me say: worth it! Ryder draws from rock and R&B influences for a sound that I think is best described as "Adele if she rocked out." 3. Dessa, Parts of Speech - I'm pretty much impressed with everything that Dessa does. She makes incredibly clever hip hop that had me hooked the first time I heard it, and her interviews show her to be an intelligent, well-spoken woman besides. So I greatly looked forward to the release of her latest album earlier this year, which lived up to the hype that I gave it in my head. "Call Off Your Ghost," "Warsaw," and "Fighting Fish" are favorites. 4. Abney Park, The Circus at the End of the World - The ragtime element of the band's sound is a little more pronounced on many of the songs on this one, giving it a good circus vibe. There are variations, of course. "Not Silent" is a little darker, and is more about current issues of intolerance than the usual steampunk stories. On the other hand, "Buy the Captain Rum" is a silly shanty that incorporates "Drunken Sailor." So as usual, the band shows its versatility and plays up its characters very well. 5. Ben Caplan, In the Time of the Great Remembering - On the way home from officiating a funeral one evening, I switched on NPR just in time to hear Caplan performing an in-studio version of "Stranger," a coming-of-age ballad that sounds like a pirate shanty and as if Caplan is incredibly angry at the piano he's pounding on. Astounded and mesmerized, I went on a frantic search to find out more about this artist and to hear more as soon as I got home. Caplan pulls from a wide variety of influences including blues, rock, folk, and orchestral to create an incredibly unique sound over which his soulful voice sings. I'm actually disappointed that he only has one album so far, but will eagerly anticipate more. 1. Brant's Blog - I've enjoyed reading Brant Hansen's blog in whatever incarnation it's taken over the years. He writes with both a wit and a weight that I've found largely unparalleled in most blogs that I've perused. He and I don't see eye to eye on everything, but I don't have to agree 100% with someone to learn from them, to be challenged by them, to be entertained by them. Brant has written some stuff this year that has hit me in just the right way, whether it was a word I needed to help name something I was struggling through or one I needed to sit with for a while to think over (or rethink) something. I'll look forward to continuing to read Brant's blogging in whatever form it takes. 2. Beauty Tips for Ministers - This blog should have been on 2012's year-end list, too. This is a side project by PeaceBang (really, it's the one she's perhaps more known for) that was begun on a bit of a lark that has turned into a full-blown online ministry. The gist is given in the title: PB is concerned with pastors representing themselves, their vocation, and the faith communities they serve well, and that includes what they wear as they do their work. Her primary focus is female clergy, but she has plenty of advice for us menfolk as well. The very first time last year that I started reading, she began having an impact, and now I'm to the point where wearing jeans to the office (which I did a lot during my "emerging dudebro" phase) feels weird and kind of wrong. 3. Theoblogy - Regular readers of this blog know that I've offered up a lot of commentary lately in response to Tony Jones, usually when I have a disagreement that I think is worth fleshing out. So it may seem strange for me to include his blog on this year-end list. The thing of it is, though, that I spent a lot of time on his blog this year, and was able to articulate my own viewpoints on church and theology using his ideas as a jumping-off point. So I think his blog deserves a nod for that. 4. A Church for Starving Artists - Jan continues to offer thoughtful posts on what the church could be if we just consider new approaches to familiar things. By this point, I think there are just certain blogs you can always expect to make this list. 5. MGoBlog - Like I said.